It occurred to me that I haven’t written anything since getting the job. Everything’s been going well. In fact, I’ve been bumped up to full time. This has left me with little time to write. I think I wrote about ten reviews on Epinions for August. I didn’t sell any books for a month, which left me with no direct deposit for one full bank cycle, and was thus charged $5. Banks seem to be after money, but this is nothing new. Banks are businesses and are thus after money. They’re not doing this out of a sense of altruism. The thing that gets me is the fee for bouncing checks. If I write a bad check, I’d expect to get hit up with a fee. That’s fair, as I have a responsibility to keep track of my own money. However, I don’t think I should be charged for someone else’s bad check. I have a right to expect that person to write a depositable check. It’s left me in a position where I won’t take personal checks for my eBay auctions. I’ll take PayPal and credit cards (through PayPal) and put up with PayPal’s fees rather than risk a $29 fee. If anyone can explain why banks charge that much for something that’s not my fault, please leave a comment. In other news, I just got back from my brother’s wedding. It’s hard to believe that he’s married. I served as best man, which wasn’t that hard. People make a big deal about giving speeches. It really isn’t. The hard part was actually writing it. Getting back to jobs, though, I don’t think that the mystery shopping will work out. I always get the jobs a day or two in advance, and they’re always hard to do. Since I don’t drive, I’m limited to the locations that I can take. I did finally get another check from Epinions, although it was for only $10 and change. I wish I could get a little more money for my writing. I have a ton of things to write from my trip to California for my brother’s wedding. Unfortunately, I don’t get paid much for travel stuff. 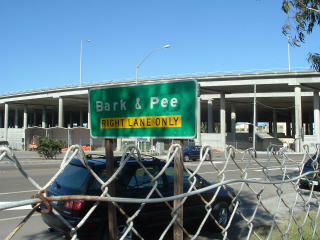 I’ll leave you with a picture that I took in California. It’s actually a doctored picture, but people seem to take it for real. 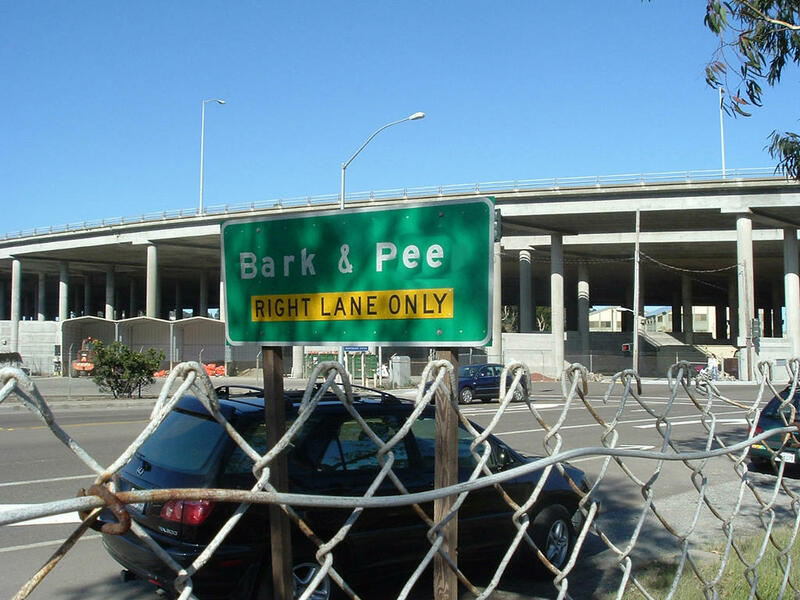 The story that I give is that California is giving more space to dogs. and will check back often. ran across it. Good job! please come and check it out. You'll Like -- We Promise!